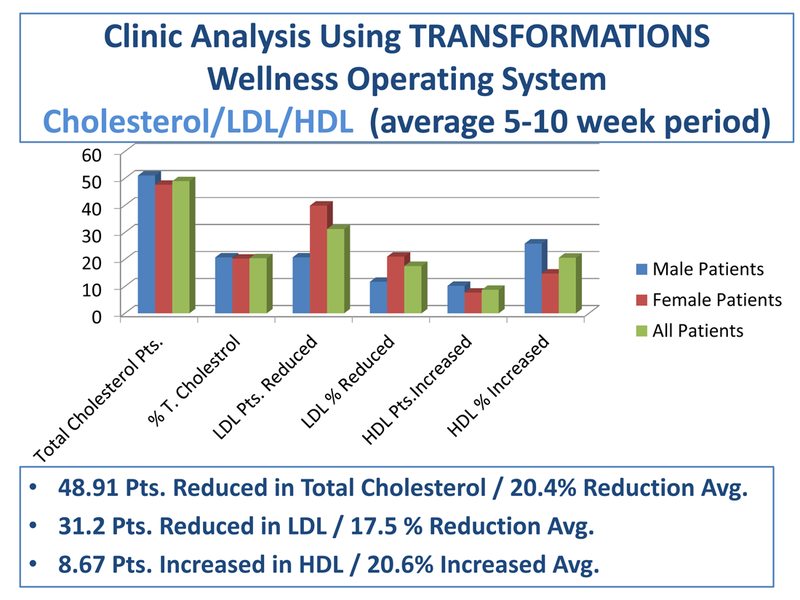 Clinic Analysis Using TRANSFORMATIONS Wellness Operating System Cholesterol/LDL/HDL (average 5-10 week period)48.91 Pts. Reduced in Total Cholesterol / 20.4% Reduction Avg.31.2 Pts. Reduced in LDL / 17.5 % Reduction Avg.8.67 Pts. Increased in HDL / 20.6% Increased Avg.